Over the last few years the emergence of the internet has brought a lot of alternatives to publicize or reproduce information on a large scale and among them is one of the most successful is the creation of a blog , a place where material is generally published illustrative that is complementary to the service you are giving. Establish the topics to be touched and the target audience : This is very important to do it because only in this way will you know which direction to take your effort and what kind of people that effort will achieve them. Check which are the strengths of your knowledge and establish which is the right public for that and get down to work. Each publication must be a solution : It is as simple as it is read and as complicated as it seems because in order to create a solution you must first have a problem and this is where your previous clients or your co-workers turn out to be a source of inspiration. 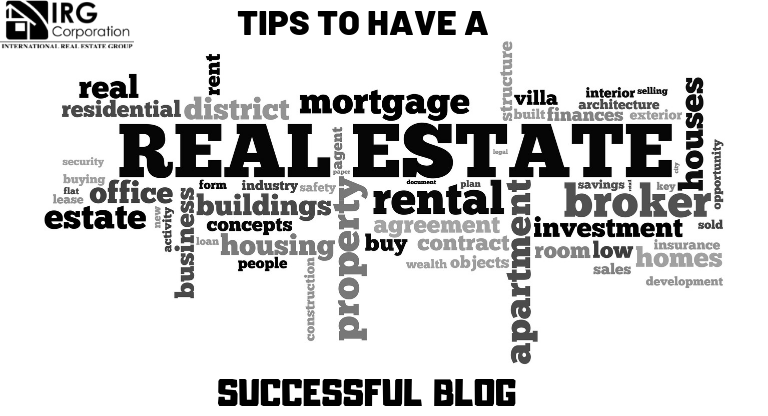 Each question asked by a client or agent is the title and the origin of a publication for your blog. Be direct, cordial and attractive : As each publication is a solution, the only way to convey your message correctly is by being punctual and at the same time friendly so that this screening attracts everyone who is looking for the answer to an unknown that has. Make content that besides giving information allows you to create a relationship with your followers. Allow diversity of information : Even if you have specific knowledge or better ordered of certain topics, you have to open a range of alternatives for anyone who wants to learn about real estate. Fortunately there is a lot of perspectives from where to observe the market and this gives you a sea of ​​possibilities to write. Dedicate the necessary time : Each publication should be accompanied by a time of prior research and a special dedication to get a quality material, not for nothing, the most successful blogs put great effort in the reproduction of valuable content and truthful information that will serve anyone who reads. Give love to everything you do and you will see that the results will fill you with pride. Remember that all the content you post within your social networks and your own blog they will be the cover letter to potential clients who are looking for the solution of a specific problem and you can easily represent the solution if you know how to express what you do and attract the right audience. “The companies that understand Social Media are the ones that say with their message: I see you, I listen to you and I care about you”. American social network blogger, podcaster and author.